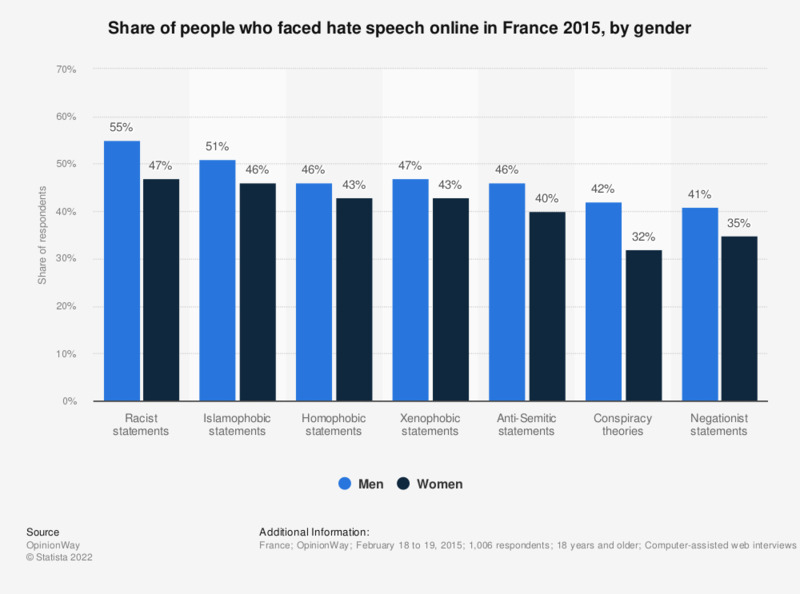 This statistic shows the results of a survey about hateful statements on the internet, which was conducted in France in February 2015. It represents the exposure to hateful online content, by gender. Results show that men were generally more exposed to this type of content: 55 percent of male respondents came across racist statements online, whereas 47 percent of female respondents did.